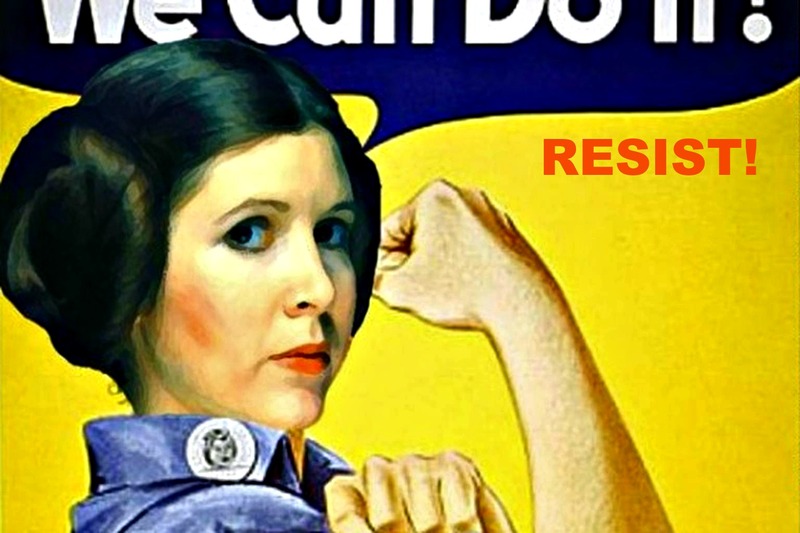 ￼￼￼When I started writing this weekly feature, it was my intention that I would not only feature famous women, but forgotten women, and also the everyday hero women. 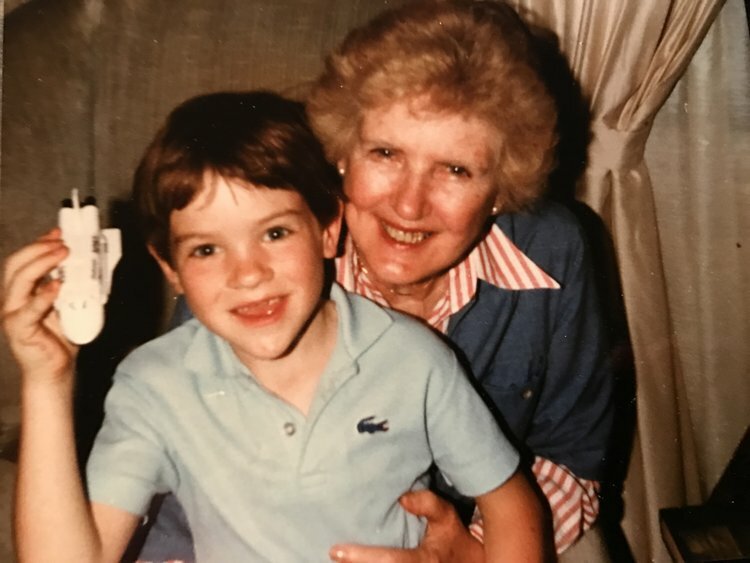 My young friend Matt Koehling wrote the following story on his blog, Something In The Wudder, www.somethinginthewudder.com, about his much loved grandmother. This is a perfect example of an everyday woman living a hero’s life. What follows is a enchanting Valentine from a grandson to a grandmother. Every grandmother everywhere hopes to be loved this much. Ann Rhoads, better known as Mom to her six children, or Nana to her eleven grandchildren and seven great-grandchildren, turned 98 on December 8th. This puts her in a very special “one percent” club, among the world’s citizens. It places her just twenty-two months shy of the Century Club. It brings her about twenty-two years short of a hand-shake/hug-and-kiss agreement that she entered into with her eldest grandson, yours truly. I continually remind her of our deal, which has her remaining with us in physical form until age 120. At that point, as I tell her, we can sit back down at the table to re-negotiate, based upon her quality of life at that time. One of the more recent occasions I reiterated this agreement was the day after her birthday, which was spent at a local South Jersey rehabilitation center, following a spell earlier in the month at the hospital with bronchial pneumonia, where she gamely once again fought off Father Time. During this visit, Nana sprung some preliminary negotiations of her own on me. The least nagging or judgmental person I’ve been blessed to have met in this world yet, inserted a new clause of her own. The pitch? If she holds up her end of the bargain, her secretly-favorite grandchild (see what I did there cuzzes?) must give up smoking on 12/8/28 if he hasn’t previously done so. I took the deal on the spot. My Aunt Ellen and I wheeled her out of the rehab center the next day, while Nana rode shotgun as I drove us home. Since then, Nana has been rehabbing and improving at a gradual pace, because nothing moves too fast when you’re 98, besides perhaps the grains of sand through time’s hour glass. It takes a village to raise a child, as the famous phrase goes. But it also takes a lot of love, along with the help of a bevy of family, friends, physical therapists and physicians, to keep a near-centenarian running. Or walking. Or in this case, walking with the assistance of a walker, on occasion, along with requiring a designated “lifter” for the big ups-and-downs. While Nana certainly appreciates any displays of love, which in my humble opinion despite all our combined best efforts still doesn’t quite equate to the incredible amount of it she doles out, I know that a fate my grandmother likely fears worse than dying is being a “burden” on the family she has been the long-standing matriarch of, along with the receivers and beneficiaries of so much of the love she’s given. It might occasionally take one of these folks, particularly when it’s one of her beloved grandchildren, to remind her to snap out of it with any talk of that burden nonsense. It’s also usually while in the presence of one of them, her own personal cheering section, that Nana sets a higher bar in her physical therapy sessions of doing leg exercises, or walker exercises around the apartment. Age, along with two artificial hips, have rendered Nana’s mobility a perpetual work in progress. Macular degeneration, has rendered Nana’s eyesight in a perpetual state of decline. But she still has a love of life, a fighting spirit, and the considerable faculties of her sharp mind. It’s a mind with a level of recall, that can usually call up the names of the seemingly impossible amount of someone’s, that she’s known at some point over the course of her incredibly long life. Nana has long had a tendency to speak fast while mumbling occasionally, as well as being prone to diversions or conversational off-roads, at times taking a circuitous route to the end of a story. These are two traits that some who know me would say I’ve inherited, either by nature, nurture, or some combination of both. At 98, this might mean her companion will have to sometimes lean in a bit closer, to figure out what she’s saying, or where she’s going, but for those of us skilled in the practice of absorbing what Nana gives, her words consider to disperse jewels and bear fruit. I’ve learned a lot from her, just in the six months since returning from Los Angeles to the town where she raised her family and her middle daughter raised mine. The bottom line, as we try to tell my grandmother all the time, is that we like having her around. She’s enough of a people-person to pick up on when would truly be the appropriate time to leave the party. But for now, Nana’s got more work left to do. Like getting back into her optimal 98 shape following this recent setback, getting her name announced by Al Roker on the ‘Today’ show once she reaches 100, or just making sure two decades later, that her eldest grandson has indeed smoked his last Newport 100. Ann Hannigan, eventually to be known as Ann Rhoads, then Mom and now Nana, was born on a farm in Olean, New York, just outside of Buffalo. It is a North Eastern, often cold part of the United States, particularly in the winter. The above picture is the only known photo she has from the early years of her life, raised on the family farm. Nana was once the baby of the bunch. The two oldest were her two sisters, the oldest Betty, followed by Helen. After that came her brother Bud, the closest to her in age. He was her idol, as well as best friend, growing up. The first decade of Nana’s life on the farm, progressed along pleasantly or uneventfully enough, but shortly thereafter, tragedy suddenly struck. Things, as one might expect, got progressively more difficult from there, as she headed into adolescence with her mother now sent into the workforce in order to keep the farm, and no father around the house anymore. After a rough run in adolescence, Ann Hannigan’s fortunes turned when she met the man who along with her would result in me typing this today: Jack Rhoads. At the tender age of 50, she joined the workforce full-time. “When I first got into real estate, at age 50, after all the kids moved out of the house, Jack said ‘Honey, don’t work so hard, but if you do, you’ll get an award this year’”. Sadly, the previous work that my grandfather had done, would go on to limit his time left shortly after his wife, with the kids out of the house, decided to go back to work. Jack would get to meet less than half of his grandchildren. I feel blessed to be one of the few of our cousins to have clear memories of him, some of which were detailed in one of the earliest stories posted on Something In The Wudder this summer. Nana, would go on to meet them all, over the subsequent next three decades plus. In addition to that, she’d get to see those grandchildren, produce seven great-grandchildren thus far. Does Nana remember her first time charged with looking after yours truly? Nana said “up to then” marrying Jack Rhoads was the proudest moment of her life, is that still the case? What are the three best things about living for more than 98 years? 1) Learning to be less critical, having more understanding. 2) Getting to watch my grandchildren grow up, and also meet my great-grandchildren. I think both generations are just wonderful. What are the three worst things about living for more than 98 years? 1) Outliving my husband, and all my friends or relatives from my generation. 2) Eyesight and hearing not being as good as they once were. Nana, any thoughts on current events, like maybe Donald Trump? This is my grandmother, everybody. She is on the shortest of lists for favorite girls I’ve ever met in this world. 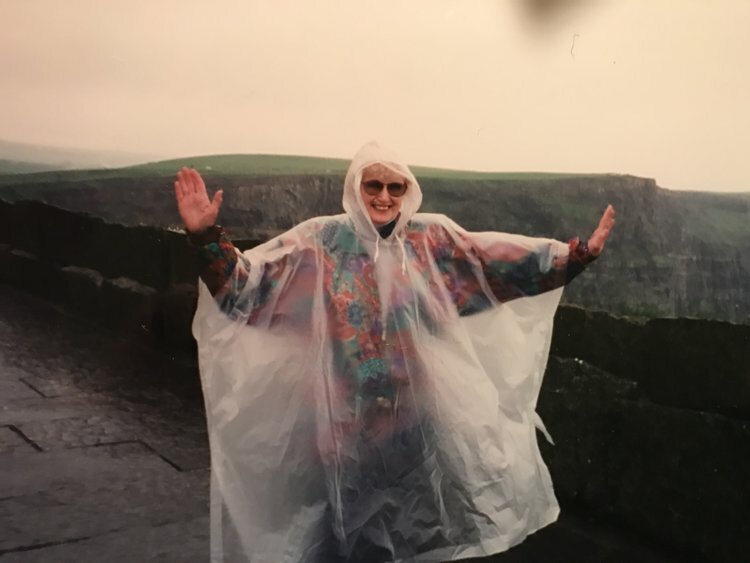 ￼The above photo was taken at the Cliffs of Moor in Ireland, which she scaled to the top of a decade or so ago, while traveling with my parents, my sister and I on a trip to retrace family roots as well as have fun. She did all this, with two artificial hips, in the midst of an Irish rainstorm, while the wet wind whipped in from the sea. I look forward to Nana’s contractually obligated, upcoming twenty-two years minimum, that we have left to spend together. Today is technically my birthday. But when I realized that I had one of Earth’s truly rich “one-percenters” in our family, it felt like it might be a good idea to pay homage to the person who’s had 57 more of those than I have, with no plans of giving up her sizable lead. I hope that those not blessed enough to already know this woman, can at least glean a little bit of the love that my family has for her, through some of these lines of hers and mine. Because I guarantee, if you’re good people, love is something that she’d gladly reciprocate, while doing her best to build another solid lead on you, in how much she returns back. That is a subject upon which I have great faith. I’m rendered speechless by this amazing tribute to a remarkable woman. The spirit of love just drenches the words in the most beautiful way. What brings tears tumbling down my cheeks is the way she just got on with it all. The happy, the sad, the cup running over, the breaking heart – she accepts. And acceptance is perhaps a lesson we should all re-learn. And love of course. Learn love most of all …. Happy Valentines to you dear Bernadette and my heartfelt thanks for sharing this story that i would otherwise never have read and taken to my heart to drip drip out into my own mindfulness. Good morning Osyth. Your comment is as beautiful as the story. Thank you. A wonderful tribute by Matt to his Nanna, deeply moving and the strength, spirit, love and faith of his beloved Nanna shines through. I can hear my grandfather’s words in hers; he lived until 95 and worked until two days before his passing. He never wants to be a burden to others, he felt the loss of everyone around him keenly but his spirit for life was unflagging. At 92 he was in hospital with double pneumonia but spying his latest tome of a book by his bedside we realised his time was not yet. My grandmother passed alas far too young twenty years earlier, her joyous voice, full of song, her baking, her conversation always missed. What a lovely tribute! Enjoyed reading this. Thanks for this gem! I am ready to face my day! What a wonderful story and loving tribute to this remarkable woman. Thanks for sharing. I love this woman, this story. I am inspired to get into better physical shape for my grandchildren. What a wonderful spirit she has! I love that you mentioned forgotten women. There are too many of them I fear. (I forgot the Senior Salon again, now it’s in my calendar for next week.) Have a great weekend! An inspiring and lovely tribute. Thank you for sharing, Bernadette. So kind and so much love for his Nana. Thanks for sharing!